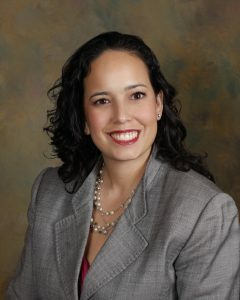 Meliha Pérez Halpern is a bilingual, highly-esteemed attorney hailing directly from Puerto Rico. Her unique approach to personal injury law revolves around providing clients with guidance, support, and action. When clients visit our practice, she works side-by-side with them to educate them about the complicated legal concepts and insurance systems that influence their cases. We will never leave you in the dark about anything. Once you understand the legal process, we will take swift action, working efficiently to achieve positive results on your case. By enlisting the services of Pérez Halpern, LLC, you’ll be working directly with an attorney who is deeply involved in the legal industry. Ms. Pérez Halpern formerly served on the Board of Governors of the Trial Lawyers Association for Metropolitan Washington, DC. She also was previously Co-Chair of the Young Lawyers Committee within the same organization. Ms. Pérez Halpern currently serves on the Board of Governors of the Maryland Association for Justice and is the Co-Chair of the Mentoring Committee. Our accomplished attorney is also an active member of the community. Ms. Pérez Halpern has provided pro bono legal services through St. Anthony’s Church in Falls Church, VA. She has also volunteered by crocheting blankets for Project Linus, a nonprofit organization that donates handmade blankets to children who are ill, traumatized, or otherwise in need. Ms. Pérez Halpern is licensed to practice law in Maryland, Virginia, and the District of Columbia. She occasionally shares her legal knowledge in speaking engagements with community organizations, covering topics like basic traffic laws, insurance coverage, and the steps one should take in the event of an accident. She hopes to empower individuals and families with legal information that could protect them in the future. As you can tell from her history, Ms. Pérez Halpern loves giving back to her community. We take the same big-hearted approach with each and every one of our clients. When you work with Pérez Halpern, LLC, we handle everything in your injury case so you can focus on recovery. Whether you’re laid up at home following an accident, confined to a hospital bed, or reading this for a loved one who has recently been the victim of a personal injury, it is vital that you reach out to an empathetic attorney like Ms. Pérez Halpern who understands the system and will do everything in her power to get your life back on track.